2018 marks the centenary of the birth of Nelson Mandela and this provides a unique opportunity for people around the world to reflect on his life and times and to promote his legacy. For this reason, The Glass Recycling Company (TGRC) celebrated Mandela Day on Wednesday, 18 July, to assist with the great initiative by FoodForward SA by packaging food for the less fortunate during the cold winter months. The TGRC team headed to Gallagher Convention Centre, where participants were encouraged to spend their 67 minutes sorting and packing donated groceries for distribution to FoodForward SA’s beneficiary organisations. 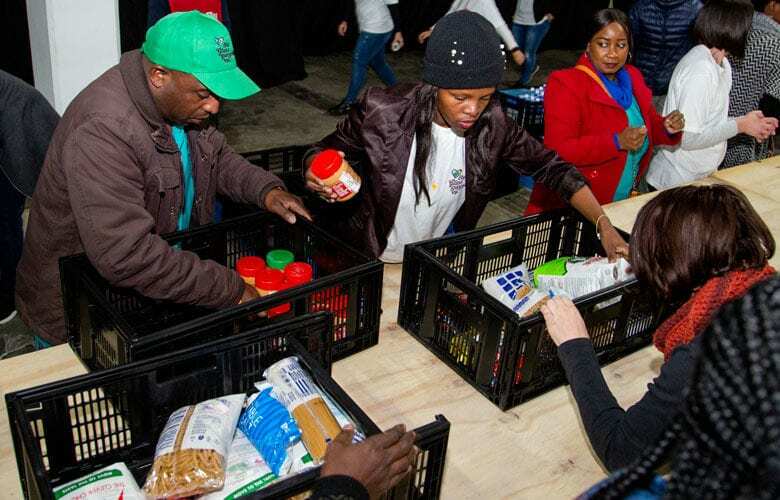 FoodForward SA and Pick n Pay partnered to unite a nation around Mandela Day, with the goal of packing and distributing 1 million meals in July 2018 and ensuring that the 600 beneficiary organisations which they serve can continue to provide warm meals to the 250,000 people they feed every day. “TGRC is committed to Mandela Day and being able to give back to the community in which ever way we can, is important to us and we enjoyed being able to be a part of such a great initiative with so many businesses working together to make a difference in the lives of others.” said Shabeer Jhetam, CEO of The Glass Recycling Company.